The natural world has been problem solving longer than anything else; it holds millions of years of wisdom gained through natural selection. The native living things in a bio region have learned to adapt to it through evolution; they are the ultimate survival experts. It is of utmost importance to understand that the local plants, animals, and first human inhabitants in an area are or were extremely well versed in survival; without this acknowledgement, we will only remain tourists unable to adequately adapt. I believe our ancestors learned much more from observing their neighbouring living things than from using their reasoning. If we focus for example on understanding how organisms have developed strategies to cope with living in extreme cold or hot temperatures, we quickly realize that humans have been inspired to imitate the same strategies to cope. I am sure our ancestors discovered many wild edibles and medicinal plants by observing other mammals and their diets. They probably learned to hunt from other predators, and were inspired to find shelter or build their own using designs they had seen before. There are many strategies that animals and plants use to cope with winter in my bio region. Squirrels build tunnels and collect food for the winter. Bears fatten up in summer and hibernate in winter. It is easy to analyse different strategies and create our own strategy based on what has worked for other organisms. Deciduous trees have a strategy similar to hibernation while coniferous trees operate in a less cyclical and more constant way. 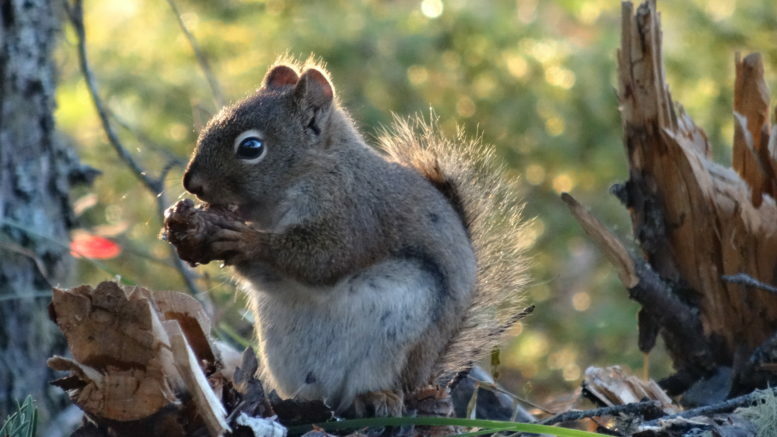 It make sense to collect firewood, fish, hunt, trap, and gather supplies for winter and have an underground shelter that protects us from the cold; in addition, we would have to continue gathering food in the winter through various techniques just like a squirrel will continue to gather food throughout the winter. Paying close attention to the seasons and the lives of animals also allows us to plan when and how we will collect food. It makes sense to hunt a bear or a beaver while it is at its fattest. And it is easier to hunt a moose during rutting season. It is important to learn to go with the flow, and do everything the easy way. Efficiency is a matter of life and death, any advantage counts. Learning about the lives of surrounding animals teaches us the rhythms that are essential for survival. Timing is everything. When we were in the forest we quickly learned that everything is seasonal; this meant that nothing is constant, everything is continually changing. Let’s look at the lifestyles of our hunter gatherer ancestors, making an effort to remain unbiased. Hunter gatherers could live in balance with their bio region without the necessity of importing lots of resources from surrounding areas. Their culture, clothing, shelters, and lifestyle was adapted to their surroundings, not the opposite. They had calendars that were in sync with the way they obtained food. It would be foolish to think that we can easily improve upon what took thousands of years of personal experience to develop. When in Rome do as the Romans do. I’m not saying that it is better to hunt with a bow than with a semi automatic rifle equipped with an infrared sight. But we need to understand the advantages and disadvantages of the different strategies. Do not be quick to dismiss techniques and technology that have proven their worth for thousands of years. If we dismiss the myth that complex technology is automatically better than simpler technology we can better choose a strategy adequate for our circumstances. A bow has less range but it is silent and its projectiles can be reused or potentially crafted in the field. We must understand that technology comes with drawbacks. Primitive technology has the advantage of being simple, and easy to repair and craft in the field. Primitive technology is localized and sustainable, but it has many disadvantages. Your bio region and circumstances will dictate what is best for you. I find a compromise between modern gear and primitive gear is probably best for long term wilderness survival. For example, down jackets offer the most insulation per weight, but they compromise in durability, fire resistance, and effectiveness while wet. On the other hand, wearing a fur coat might be too heavy and expensive. Using a fleece or wool jacket could be a happy medium between extremes; it offers portability, durability, better fire resistance, and warmth. I think the best equipment uses the same reasoning behind primitive gear and has the best of both worlds by building up on traditional designs and using modern materials. We must understand that most modern outdoor equipment is normally not built to last months of heavy everyday use. You should study as much as possible the methods and techniques that hunter gatherers used to acquire food and resources in your region. Research which food sources they used. Pay special attention to when, how, and what did they fish, hunt, trap, gather, and harvest. If hunter gatherers planted squash, corn and beans to complement their diet in an area, focus on those crops instead of planting tomato and cucumber. You must also take into consideration that circumstances might have changed in hundreds or thousands of years. Maybe hunter gatherers depended heavily on massive herds of caribou migrating through a corridor. Or on groups of bison that used to roam in the region. If that is the case, try to adopt strategies from other hunter gatherer groups around the area. Design a long term survival strategy inspired by the local plants, animals, and past local hunter gatherers. If you believe that strategies, techniques, and technology used in recreational pursuits will automatically work in a long term survival situation you are in for a surprise. Your salted minnows and fishing rod might work perfectly for catching fish from your favorite spot using your motorized boat. But, it is a completely different thing to fish in a long term survival situation when you need to constantly catch fish using the least amount of energy for months, or years on end, and without resupply. 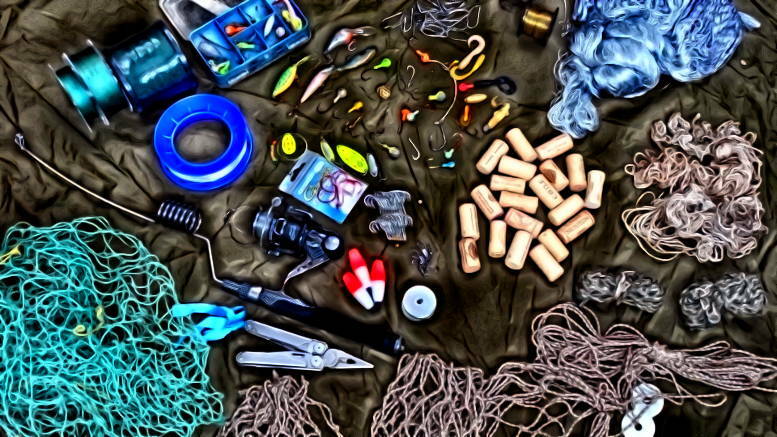 Be the first to comment on "Biomimicry, imitate the ultimate survivalists"